Cycling is a cheap and healthy way to get around. Unfortunately, most cities aren’t equipped to handle bicycle traffic. Without dedicated bike lanes, many cyclists ride on the street alongside vehicles to get where they’re going. While this can be accomplished safely, that doesn’t change the fact that cyclists are hit by cars all the time. Since bicycles offer very little protection, accidents often result in serious injuries and, in severe cases, wrongful death. 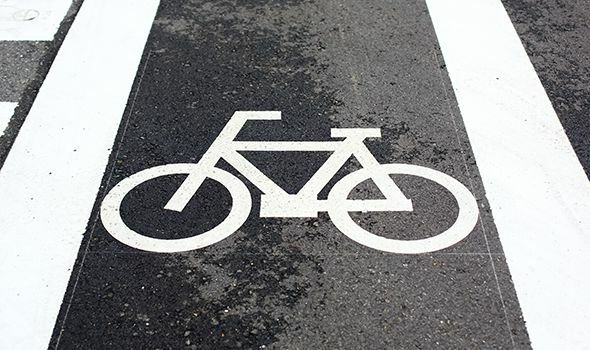 Bicycle accident claims are challenging. Insurance companies will try to deny your claim or offer you less compensation than you deserve. Meanwhile, you are suffering physically and financially because of someone else’s negligence. We’ve established an impressive record of verdicts and settlements throughout the years. In one case, a cyclist came to us after she was hit by a car and dragged six feet. We helped her recover $705,000 for serious injuries, including a broken pelvis and a broken leg. If you or a loved one has been injured as a cyclist, a bicycle accident attorney can help you get the compensation you need to get back on your feet. Do not hesitate to speak to an attorney at Heintz & Becker. Injuries and deaths are not uncommon for cyclists. According to the Florida Department of Highway Safety and Motor Vehicles, there were 7,120 bicycle crashes in 2015. These accidents resulted in 6,691 injuries and 154 deaths. In fact, Florida has the highest rate of bicyclist fatalities in the country. The National Highway Traffic Safety Administration (NHTSA) keeps track of national bicycle injury and death statistics. In 2014, accidents caused 726 deaths and over 50,000 injuries. The average age of cyclists killed is 45, however those aged 55-59 are most at risk for suffering fatalities. Bicyclists have the right to use the road like anyone else. Unfortunately, they don’t always follow the rules. While some accidents are caused by motorists, many are caused by errors made on the part of the cyclist. These negligent actions can result in minor scrapes and bruises or severe injuries, like traumatic brain injuries or spinal cord injuries. To remain safe as a cyclist, you have to obey the same rules cars and trucks follow. You have to yield as a car would, stop as a car would, and observe pedestrian crossings as a car would. Be bright. It’s crucial that you’re visible to other drivers. Wear reflective clothing and use a headlight and taillight when riding in the dark. Stay hands on. Only take your hands off the handlebars if you need to drink water. If you need to use your phone or do something that requires your hands, be safe and pull over before doing so. Don’t wear headphones. As a cyclist, you need to be able to hear car horns or emergency vehicle sirens. You can’t do this if you’re hearing is compromised. Eyes up and on the road. Whenever you make a turn or shift your position within your lane, double check for other cyclists and cars. Look out for road hazards. Potholes and debris can be dangerous for cyclists. Keep a close eye on the road to give yourself time to avoid an accident. Always be ready to brake. It’s a good idea to keep one finger on the brakes at all time so you’ll be ready if you need to use them. Don’t use busy streets. Stay on quieter, lower traffic streets whenever possible. Watch parked cars. If you’re riding next to a row of parked cars, watch out for drivers and passengers exiting or entering a vehicle. If they open their door or pull out without looking, you could be seriously injured. You don’t have to be fast. Learn your bike and go at your own pace before trying to set any speed records. Buy some gear. A good helmet, gloves, and padded bike shorts/pants can make your ride safer and more comfortable. Know how to maintain your bike. Many bike shops offer maintenance services to people who purchase a bike from them. Still, you should know how to adjust your seat, tighten your brakes, and change a flat tire. Do a safety check before every ride. Check the tire pressure, make sure your chain is well oiled, and test your brakes each time you head out. Learn the correct way to corner. Cornering on a bike isn’t just about turning, it’s about weight distribution as well. Click here to learn how to corner more efficiently. Adjust your seat. When you buy your first bike, adjust the seat’s height to one that’s appropriate for you. The right height is when your legs are fully extended at the bottom of your pedal stroke but the bike isn’t hard to mount/dismount. Master drinking water while you ride. During long rides you’ll want to access your water bottle and drink without having to stop. Ride with traffic. Riding against traffic is illegal and makes it hard for vehicles coming from both directions to see you. If you’ve been injured in a bicycle crash, there’s no need to worry. The bicycle accident attorneys at Heintz & Becker will fight aggressively to recover the compensation you deserve. We won’t charge any fees unless we successfully settle your case. Contact us to schedule your free consultation or call us at 941-748-2916.